Seventeen-year-old Kassidi Rowley of Flagstaff is a high school senior. She is also a college student. 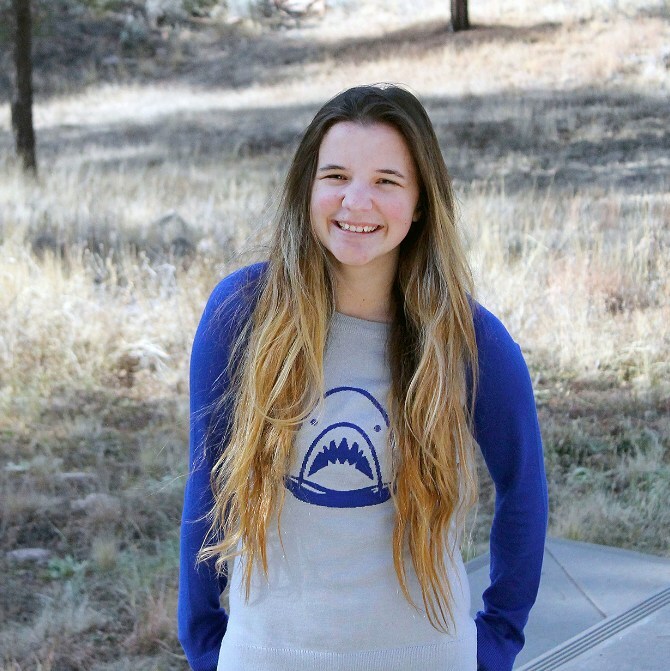 She and her family moved to the Flagstaff area in the middle of her junior year of high school, where she quickly realized the high school scene was not for her. She decided to start earning college credit at CCC while finishing up her high school education online through Primavera Online High School. At Primavera, classes last for six weeks at a time, which enables Kassidi to graduate from high school sooner and pursue her childhood dream of earning a degree in zoology and working with animals. At Coconino Community College, student success can start early. CCC offers high school students the opportunity to earn high school and college credits simultaneously through the school’s dual enrollment program. Students can take CCC’s dual enrollment classes at 11 high schools in Coconino County from 60 CCC instructors. According to HS2CCC (High School to Coconino Community College) Coordinator Denise Folke, CCC hires instructors specifically to teach local high school students interested in earning dual credit. Dual enrollment instructors must meet the same requirements as CCC instructors to ensure students are receiving the same quality of education that they would at CCC. CCC also teaches dual enrollment classes to Coconino Association for Vocations, Industry and Technology students. CAVIAT is a Joint Technical Education District that the state created specifically to fund career and technical programs, Folke says. Generally, Career and Technical Education classes do not have a fee, but students who are looking to get their core requirements completed before finishing high school are usually required to pay a fee, Folke says. Luckily, dual enrollment students do not have to pay for textbooks. All of the students taking CAVIAT programs are taking CTE courses and often do not pay for their programs. Many times, they will also take dual enrollment classes at their high school to earn their core credits while enrolled in a CAVIAT program, according to Folke. CCC’s dual enrollment program is beneficial to students who are earning discounted college credits as well as to the school who recruits future students through the program, CCC Foundation Director Scott Talboom said. “It’s a win-win because anything that encourages Coconino County residents to further their education is good for work force development and for our community in general,” Talboom said. “Our internal statistics have shown that our dual enrollment and CAVIAT students tend to do better than the general population,” Folke said. According to Talboom, CCC dual enrollment classes used to be free, but when state funding was reduced, CCC began charging $25 a per credit hour. However, charging $25 dollars per credit hour has made it difficult for many students to attend dual enrollment classes. Fortunately, funding from the Raymond Educational Foundation fund at CCC has made it possible to provide $5,000 in scholarship funds for dual enrollment students. “We’re hoping to get about 60 kids awarded [for spring scholarships] so they can take classes,” Folke said. CCC awarded 17 fall scholarships for the fall 2015 semester. “The reason this is important is because even though $75 for a three credit hour class doesn’t seem like a lot of money when you look at what it costs to come here or to go to Northern Arizona University, these kids don’t qualify for financial aid at a high school level and that amount of money…they’re not able to come up with that,” Folke explained. Last year, more than 1,000 students were taking dual enrollment classes and about 75 took CAVIAT classes. CCC’s dual enrollment classes are only offered through certain Coconino County schools and CAVIAT programs, but some high school students choose to take courses through concurrent enrollment. 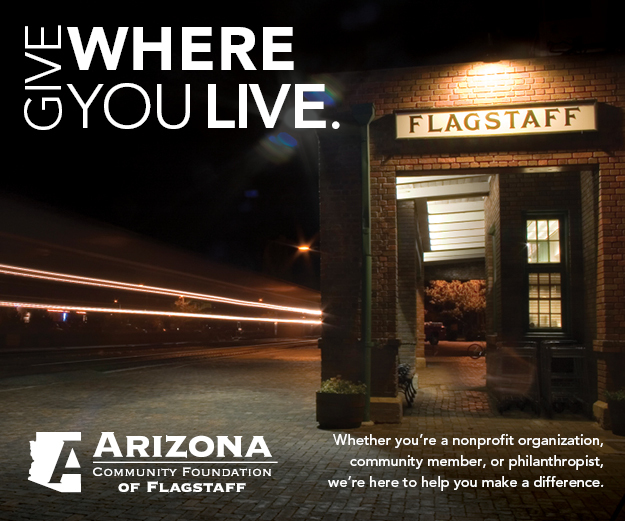 For more information about CCC’s programs, visit www.coconino.edu.